At Novak Family Dentistry, we want you to feel special from the moment you walk through our doors! We hope that you can tell by your first impression how much work and effort we put in as a team to create a safe and patient-focused atmosphere. Our desire is to help each member of your family to achieve optimal dental health and maintain their oral health throughout their lifetimes. 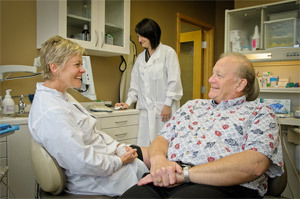 Our skilled dental team is committed to treating each of our patients with compassion and dignity. 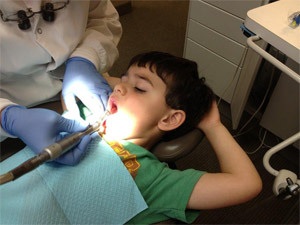 Our goal is to help you prevent cavities and dental diseases throughout each stage of your life. We invest in the latest technology so we can provide you with the best preventive care possible. 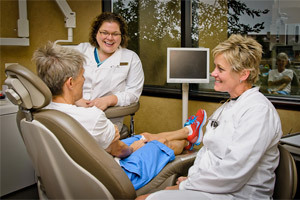 Our dental services include regularly scheduled exams with Dr. Novak and McGill, thorough teeth cleanings with highly trained dental hygienists, digital x-rays, and oral cancer screenings. We want to create an atmosphere where you and your family will feel comfortable and confident that you are in excellent care. Our approach to treatment is conservative, but our approach to prevention is progressive. 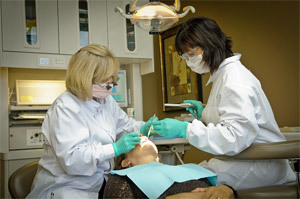 Our dental team wants to help you maintain your teeth in their natural state as long as possible. Hopefully, in addition to a good home care regimen, we can help you keep your youthful, natural smile for a lifetime! 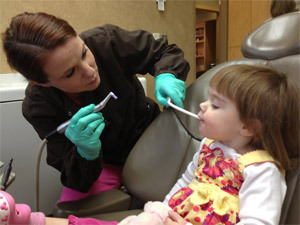 We Want To Be Your Home For Family Dentistry! If you would like to learn more about our general dentistry practice, schedule a consultation to speak with Dr. Shauna Novak or Dr. Debra McGill. Click here to email our office or call 763- 525-5011. One of our friendly team members will happily help you schedule a convenient appointment time.